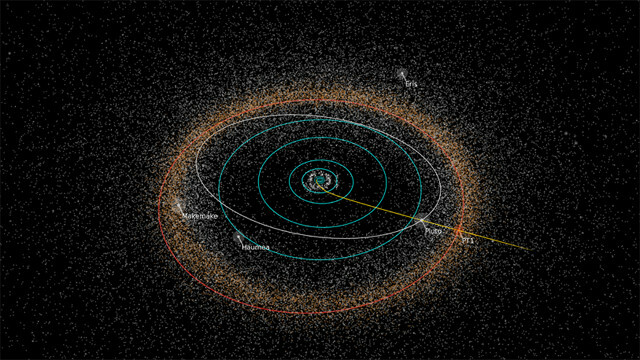 NASA announced the choice of a target for the second mission of the New Horizons space probe. It’s a so-called Kuiper Belt Object (KBO) officially called 2014 MU69. Informally called PT1 (Potential Target 1), it’s one of the objects selected in October 2014 among those discovered using the Hubble Space Telescope with just that purpose. Two articles published in “The Astrophysical Journal” describe a study of what is known as the coronal heating problem. 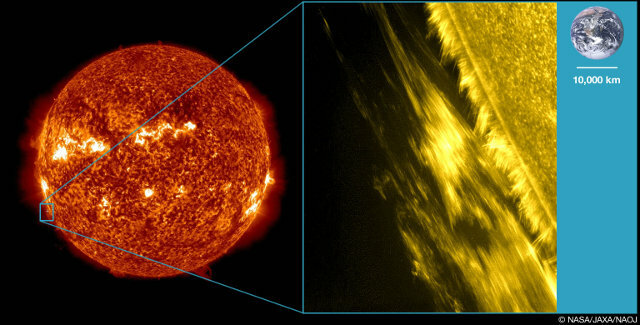 For decades, scientists have been trying to understand why the temperature on the surface of the Sun is about 6,000 Kelvin while the corona, the region between the surface and the area of ​​the outer atmosphere, can reach temperatures of several million degrees. Now a team of researchers led by Takenori Okamoto of the Solar-Terrestrial Environment Laboratory at Nagoya University and ISAS/JAXA and Patrick Antolin of the National Astronomical Observatory of Japan, Tokyo, offers an explanation, tied to resonant absorption. 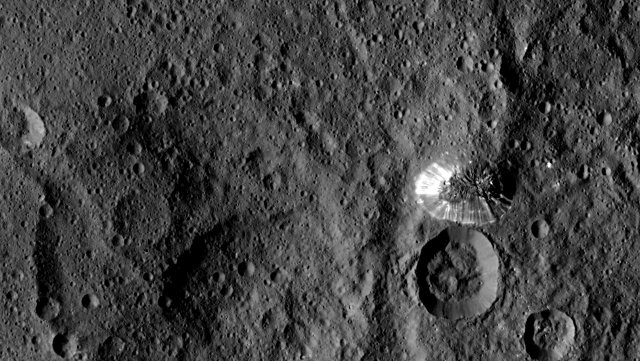 NASA’s Dawn spacecraft is carrying out a mapping of the dwarf planet Ceres and with its camera is capturing extraordinary images better than those available so far, with a resolution of 140 meters (450 feet) per pixel. Among the geological features photographed there’s a mountain about 6 kilometers (4 miles) high that had already intrigued scientists and public because it looks like a pyramid and its sides are covered with brilliant material. A little while ago the HTV-5 “Kounotori” spacecraft was captured by the robotic arm Canadarm2 of the International Space Station, operated by Kimiya Yui assisted by Kjell Lindgren. The Japanese space cargo ship, which blasted off last Wednesday, is carrying food, water, scientific experiments, propellant and various hardware. 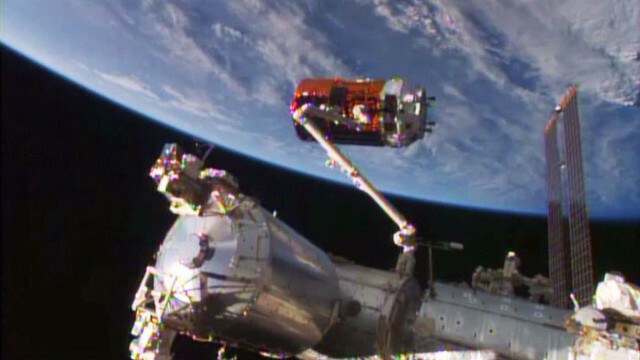 After its capture, it will take a little while before the HTV-5 starts getting moved to its berthing location on the Harmony module. An article published in the journal “Monthly Notices of the Royal Astronomical Society” describes a research about the central region of the Milky Way. 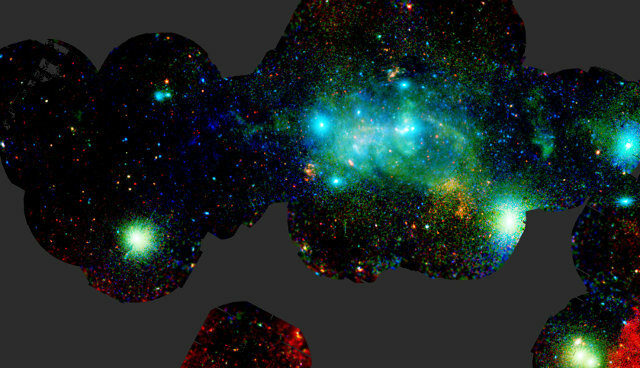 Using ESA’s XMM-Newton X-ray space observatory, a team of scientists from the Max Planck Institute for Extraterrestrial Physics (MPE) led by Dr. Gabriele Ponti revealed the most intense processes going on at the center of the galaxy.